155:1.3 Jesus continued to teach the twenty-four, saying: “The heathen are not without excuse when they rage at us. Because their outlook is small and narrow, they are able to concentrate their energies enthusiastically. Their goal is near and more or less visible; wherefore do they strive with valiant and effective execution. You who have professed entrance into the kingdom of heaven are altogether too vacillating and indefinite in your teaching conduct. The heathen strike directly for their objectives; you are guilty of too much chronic yearning. If you desire to enter the kingdom why do you not take it by spiritual assault even as the heathen take a city they lay siege to? You are hardly worthy of the kingdom when your service consists so largely in an attitude of regretting the past, whining over the present, and vainly hoping for the future. Why do the heathen rage? Because they know not the truth. Why do you languish in futile yearning? Because you obey not the truth. Cease your useless yearning and go forth bravely doing that which concerns the establishment of the kingdom. 155:1.4 “In all that you do, become not one-sided and overspecialized. The Pharisees who seek our destruction verily think they are doing God’s service. They have become so narrowed by tradition that they are blinded by prejudice and hardened by fear. Consider the Greeks, who have a science without religion, while the Jews have a religion without science. And when men become thus misled into accepting a narrow and confused disintegration of truth, their only hope of salvation is to become truth-co-ordinated—converted. 155:2.1 On Monday morning, May 23, Jesus directed Peter to go over to Chorazin with the twelve evangelists while he, with the eleven, departed for Caesarea-Philippi going by way of the Jordan to the Damascus - Capernaum road, thence northeast to the junction with the road to Caesarea Philippi, and then on into that city, where they tarried and taught for two weeks. They arrived during the afternoon of Tuesday, May 24. 155:2.2 Peter and the evangelists sojourned in Chorazin for two weeks, preaching the gospel of the kingdom to a small but earnest company of believers. But they were not able to win many new converts. No city of all Galilee yielded so few souls for the kingdom as Chorazin. 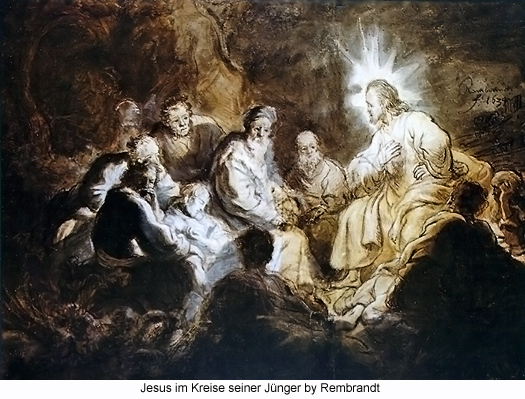 In accordance with Peter’s instructions the twelve evangelists had less to say about healing—things physical—while they preached and taught with increased vigor the spiritual truths of the heavenly kingdom. These two weeks at Chorazin constituted a veritable baptism of adversity for the twelve evangelists in that it was the most difficult and unproductive period in their careers up to this time. Being thus deprived of the satisfaction of winning souls for the kingdom, each of them the more earnestly and honestly took stock of his own soul and its progress in the spiritual paths of the new life. 155:2.3 When it appeared that no more people were minded to seek entrance into the kingdom, Peter, on Tuesday, June 7, called his associates together and departed for Caesarea Philippi to join Jesus and the apostles. They arrived about noontime on Wednesday and spent the entire evening in rehearsing their experiences among the unbelievers of Chorazin. 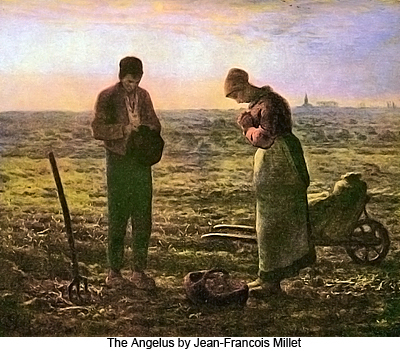 During the discussions of this evening Jesus made further reference to the parable of the sower and taught them much about the meaning of the apparent failure of life undertakings. 155:3.2 The sojourn at Caesarea Philippi was a real test to the eleven apostles; it was a difficult two weeks for them to live through. They were well-nigh depressed, and they missed the periodic stimulation of Peter’s enthusiastic personality. In these times it was truly a great and testing adventure to believe in Jesus and go forth to follow after him. Though they made few converts during these two weeks, they did learn much that was highly profitable from their daily conferences with the Master. 155:3.5 One of the great lessons of this sojourn at Caesarea had to do with the origin of religious traditions, with the grave danger of allowing a sense of sacredness to become attached to nonsacred things, common ideas, or everyday events. From one conference they emerged with the teaching that true religion was man’s heartfelt loyalty to his highest and truest convictions. 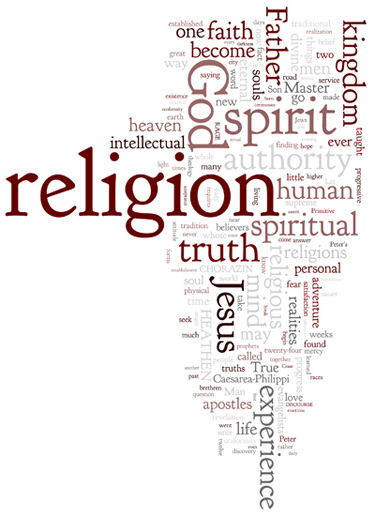 155:3.8 Jesus repeatedly taught his apostles that no civilization could long survive the loss of the best in its religion, And he never grew weary of pointing out to the twelve the great danger of accepting religious symbols and ceremonies in the place of religious experience. His whole earth life was consistently devoted to the mission of thawing out the frozen forms of religion into the liquid liberties of enlightened sonship. 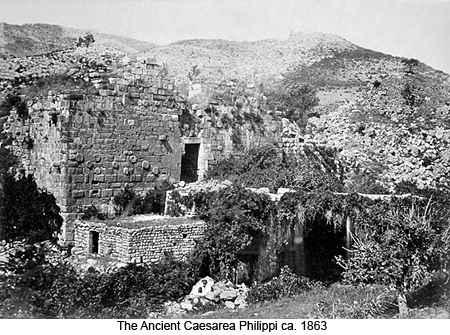 155:4.1 On Thursday morning, June 9, after receiving word regarding the progress of the kingdom brought by the messengers of David from Bethsaida, this group of twenty-five teachers of truth left Caesarea Philippi to begin their journey to the Phoenician coast. They passed around the marsh country, by way of Luz, to the point of junction with the Magdala-Mount Lebanon trail road, thence to the crossing with the road leading to Sidon, arriving there Friday afternoon. 155:5.9 The acceptance of the traditional religions of authority presents the easy way out for man’s urge to seek satisfaction for the longings of his spiritual nature. The settled, crystallized, and established religions of authority afford a ready refuge to which the distracted and distraught soul of man may flee when harassed by fear and tormented by uncertainty. Such a religion requires of its devotees, as the price to be paid for its satisfactions and assurances, only a passive and purely intellectual assent. 155:6.6 Shame on those false religious teachers who would drag hungry souls back into the dim and distant past and there leave them! And so are these unfortunate persons doomed to become frightened by every new discovery, while they are discomfited by every new revelation of truth. The prophet who said, “He will be kept in perfect peace whose mind is stayed on God.” was not a mere intellectual believer in authoritative theology. This truth-knowing human had discovered God; he was not merely talking about God. 155:6.11 Never forget there is only one adventure which is more satisfying and thrilling than the attempt to discover the will of the living God, and that is the supreme experience of honestly trying to do that divine will. And fail not to remember that the will of God can be done in any earthly occupation. Some callings are not holy and others secular. All things are sacred in the lives of those who are spirit led; that is, subordinated to truth, ennobled by love, dominated by mercy, and restrained by fairness — justice. The spirit which my Father and I shall send into the world is not only the Spirit of Truth but also the spirit of idealistic beauty. 155:6.13 When you once begin to find God in your soul, presently you will begin to discover him in other men’s souls and eventually in all the creatures and creations of a mighty universe. But what chance does the Father have to appear as a God of supreme loyalties and divine ideals in the souls of men who give little or no time to the thoughtful contemplation of such eternal realities? While the mind is not the seat of the spiritual nature, it is indeed the gateway thereto.